Hi, my name is Mitch Jacobsen. 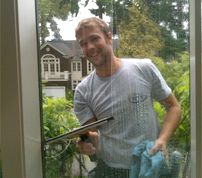 I'm one of the owner's here at Better Window Cleaning Seattle! I'm excited to welcome you to our site today. We provide Quality Property Maintenance Services catered to the Pacific Northwest. We also Clean Gutters and Roofs, including Moss Removal and Treatment. Another extremely popular service we provide is Pressure Washing. And lets not forget Holiday Light Displays! Please feel free to browse through our new site. We have posted lots of photos, videos, and testimonials to give you an idea of what exactly you get with our services. We look forward to hearing from you and earning your business.